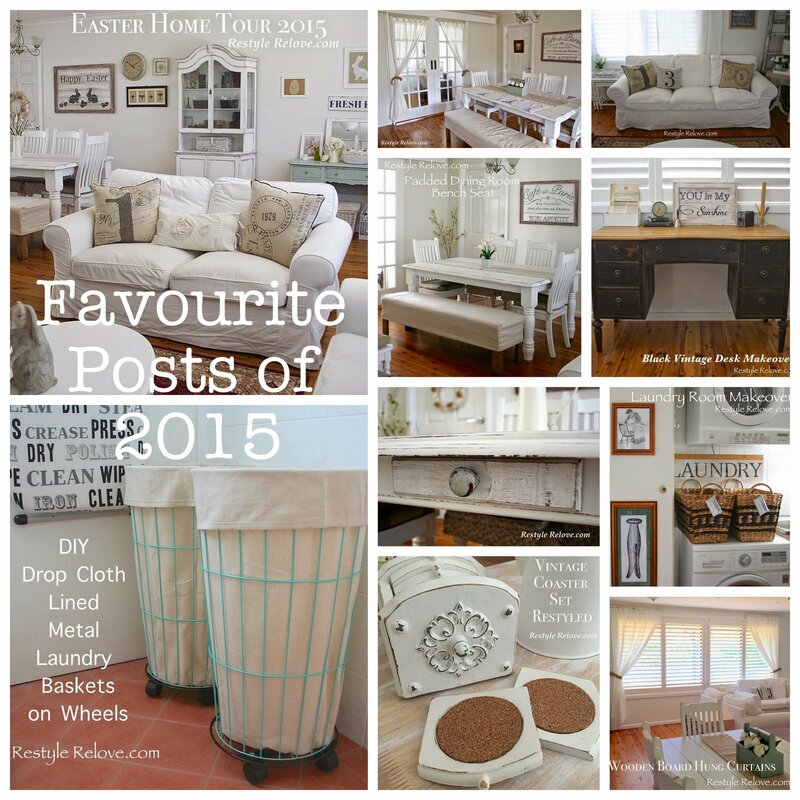 Before heading into the new year, I'd like to reflect on some of my favourite posts from 2015. This post had a massive response and I can confirm that after almost a year, the stuffed cushions have held up wonderfully. The padding on my bench seat has also stood the test of one year's time. 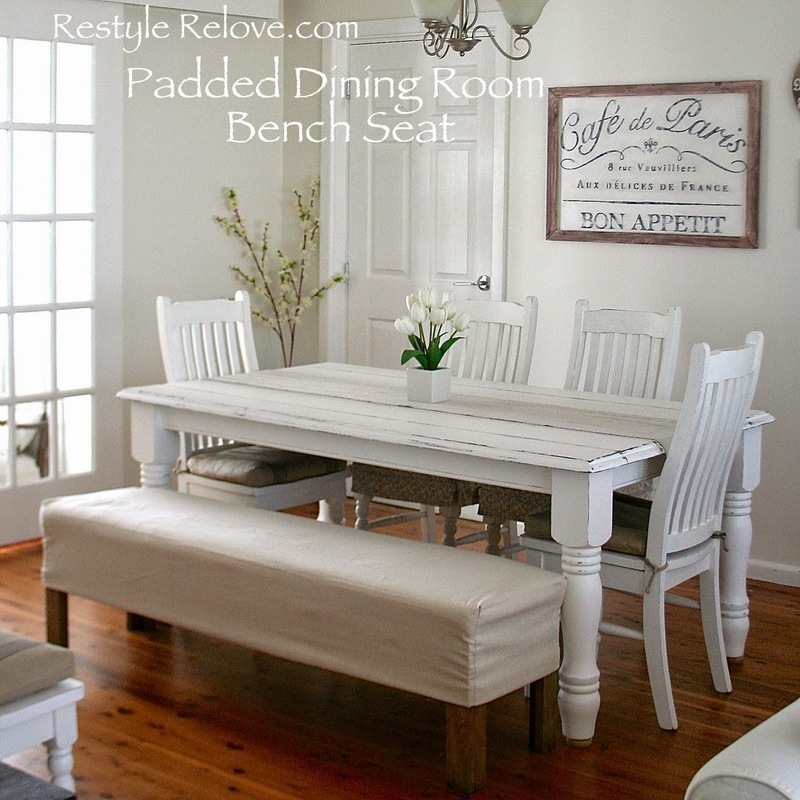 Given we eat at the table, the drop cloth cover has become a bit grubby so I'll be making a new one in the new year. Still very happy with our wire laundry baskets and we are still using them on a daily basis. The laundry makeover was a great project. The only change is the baskets on top of the washing machine are gone as I wasn't using them. What I got the most comments on was the hanging dryer which is commonplace in Australia, but not so much in America. I found that really interesting. I love, love, love my new desk. I'll be keeping this one for a long time. 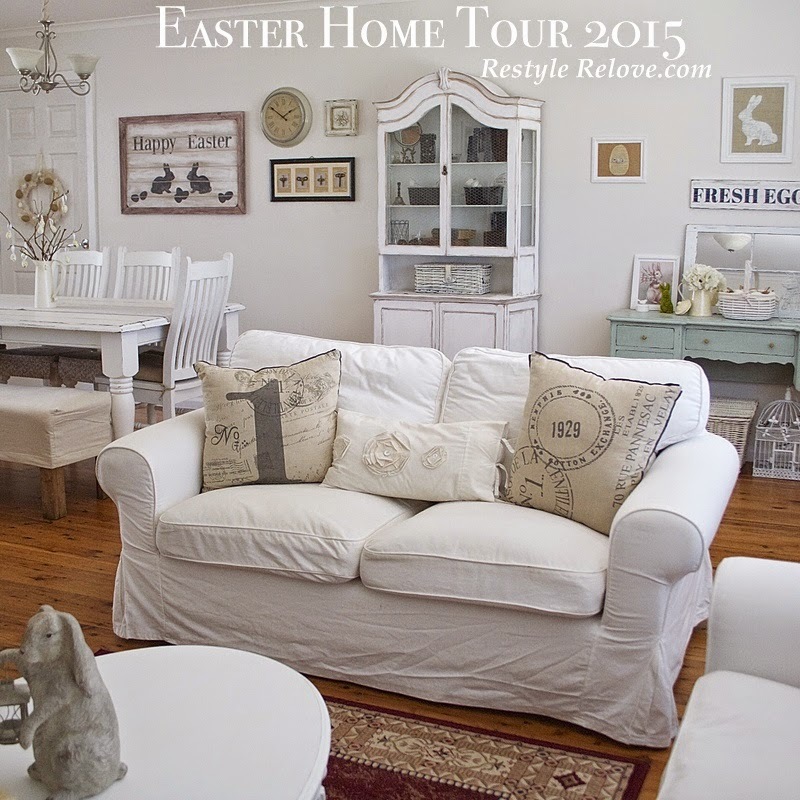 This year I did more Easter decorating than in past years and I Ioved how it all turned out. 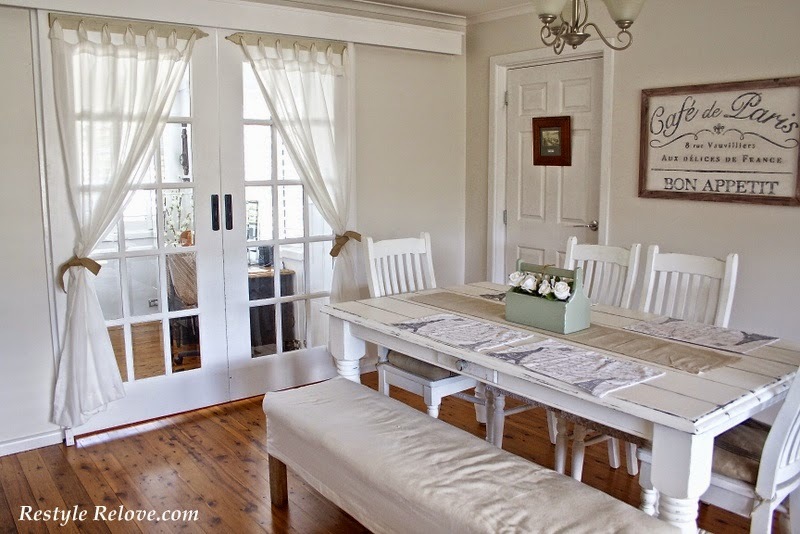 While unusual, I loved using these old picket palings to hang curtains in my dining room. I loved using something old to make something new. 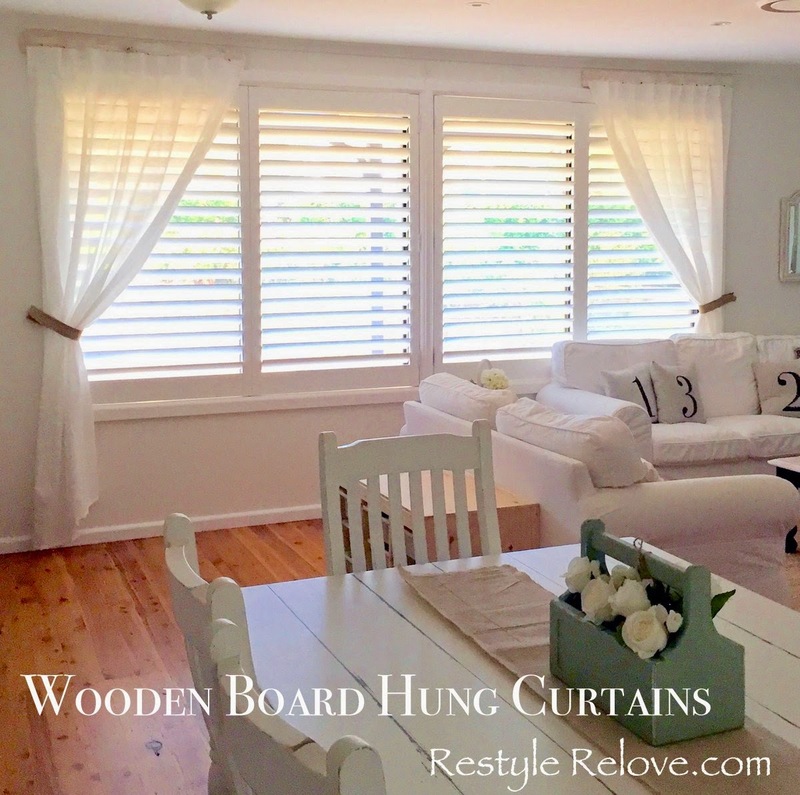 Following on from the picket idea, I used some new wood pallings that I distressed to hang curtains in my living room. Again, I love this idea and it is a keeper. This project was super easy, but gave my farmhouse style table a bit more character. 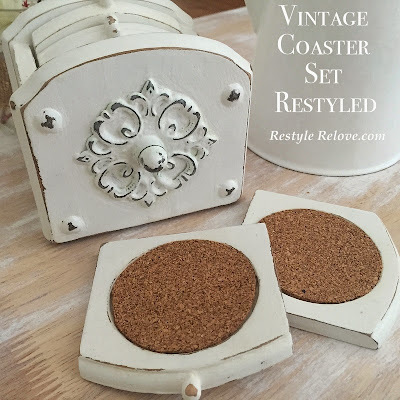 I still pinch myself having found these old coasters. We use them on a daily basis and they pack away in their little box perfectly. These are just a few of my favourite projects from 2015 and I'm looking forward to another creative and decorative 2016. I'd also like to thank my readers and followers for all your support and treasured comments throughout the year. You had an amazing project year! Happy New Year Julie. 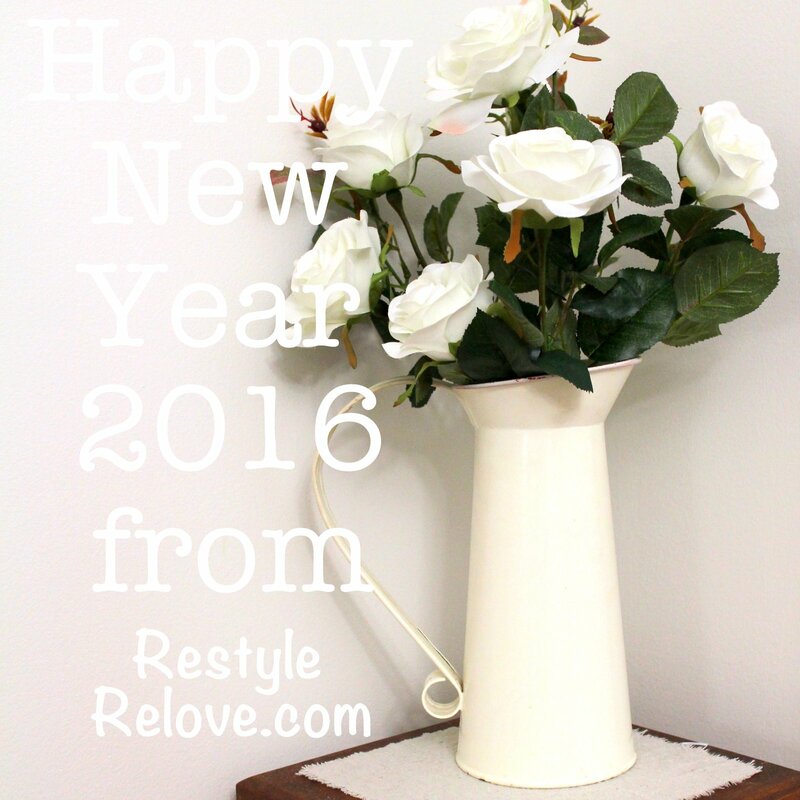 Here is to a new 2016 full of lots of wonderful new things for your blog. I have enjoyed watching your blog evolve this past year. Thank you for sharing your friendship and I really am wishing you much peace, health and happiness in the new year.